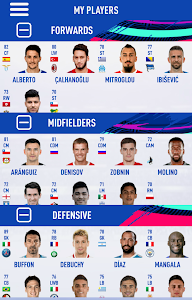 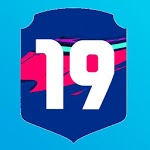 Mobile companion to FIFA 19 and FUT 19! 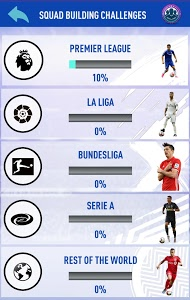 Draft a team from our huge database of players and attempt to make it to the top division! 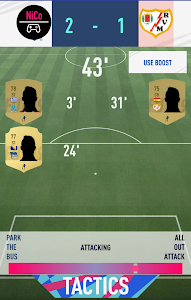 Start in division 10 and play matches against real teams with our state of the art match simulator, which takes into account formation, chemistry, rating and momentum. 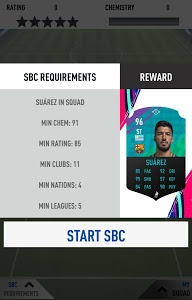 NOW FEATURES OVER 170 SBCS, with more squad building challenges to be added weekly! 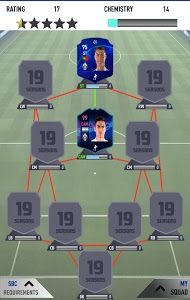 new- over 170 SQUAD BUILDING CHALLENGES! 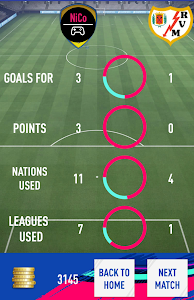 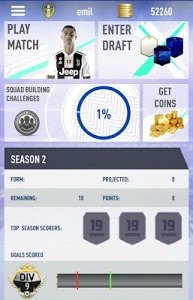 Similar to "FUT 19 DRAFT / SEASONS SIMULATOR"